Because we nurses are humans too! 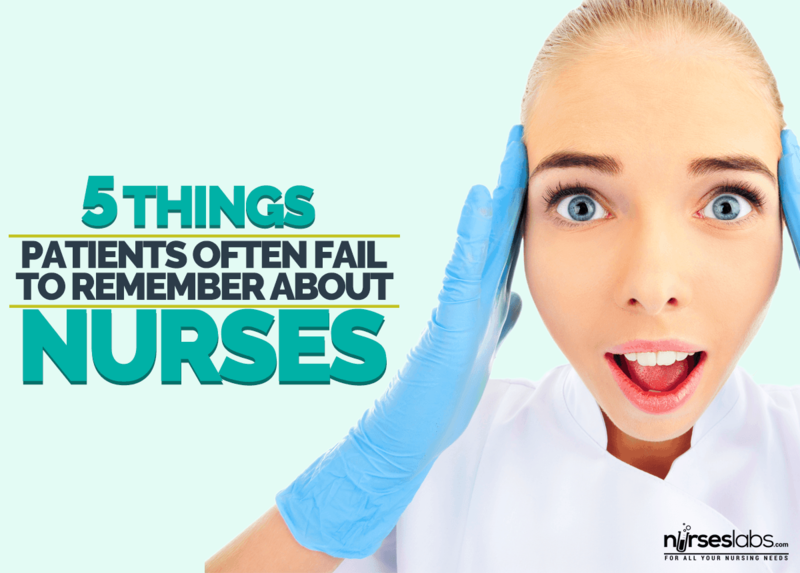 Nurses are known to be some of the most understanding people on the planet. We take care of sick patients and their families, who may act in different ways in response to their situation. As nurses, we are trained to empathize and help our patients recover through it all. But even though some of us may have the patience of a saint, there are a few things that we would really like our patients and their families to remember. Most nurses have at least a bachelor’s degree under their belt or at least are studying towards it. Also, in order to become a full-fledged nurse, we are required to pass a licensure examination. Throughout our careers, we have to be updated with the latest in healthcare knowledge and technology. That being said please don’t keep contradicting what we teach you and compare it with what you read on the internet. Sure, the web has information but how much of that has years of knowledge and skills? It’s okay to ask questions about what you don’t understand but if you question everything every time we attend to you, it becomes a waste of time we could be using for other patients. 2. Nursing is a job. This means that there are standard procedures and policies that we have to follow. We may have to keep monitoring you every few hours or more frequently as necessary. We may have to stick needles, insert tubes and make you go through different even painful procedures. It’s not that we don’t want you to get your much needed sleep. Sometimes, we don’t like what we need to do either but we have to because it is part of our jobs. It is how we will figure out how to make you feel better. So when we have to re-insert your IV cannulas again or take another set of bloods, cut us some slack and let us do our work please. 3. Nurses are Nurses. Not electricians, chefs, cleaners, maintenance technicians etc. We understand that as nurses, we are at the frontline of your care. Though we would like to give you everything you need, there is always a limit to what we can provide in the hospital. It is after all, a hospital and not a hotel. Please don’t keep bugging us about your food especially if you’re in a special diet. We know it doesn’t taste good but it’s tailored to your needs. Besides, we don’t prepare your food. Also, if something is not working in your room or you want something cleaned up, don’t yell at the nurses to get it done now. We can go as far as to call someone to do the job. Often, we will nag them as well because we have patients breathing down our necks while we have other things to attend to. 4. Nurses are on your side. Believe it or not, we are one of the people who want to discharge you as soon as possible. Our daily routine consists of running around to get your medications and treatment on the way so that you will feel better soon. We will pester your doctors for your concerns, make sure you take your medicine on time and push for your procedures to get done at the earliest. We might make you go through a lot of unpleasant things but it is all for you in the end. 5. Nurses are not superheroes. Though we try to do our best for our patients’ care, nurses are not superheroes. We cannot be in two places at once even though that would be an amazing super power. We cannot always be at your beck and call because we have other sick patients too. We have to prioritize and manage our time for all our patients so that we can provide equal quality of care to each one. We get a high when we are able to get everything done for all of our patients. Often, it feels like the shift has passed too fast and we still feel inadequate because we didn’t finish all that we planned to do. But everyone has limits. Even your super nurse. We may come out as heartless especially if everything that we do to you seems painful. We may seem indifferent if we can’t make the time to listen to all your concerns. We may appear like we don’t understand nor care about what or how you’re feeling. But we do. We see it every day. We are also affected by the amount of pain and suffering we observe all the time. It’s just our job to be objective about it so that we can help our patients through it. We have to be the stronger ones. At the end of the day, we just want you to remember that we are humans too. We save lives and defy illness and death each day that sometimes, we also forget that we have our limitations. Soliel is a registered nurse based in Singapore and one of the writers for NursesLabs.